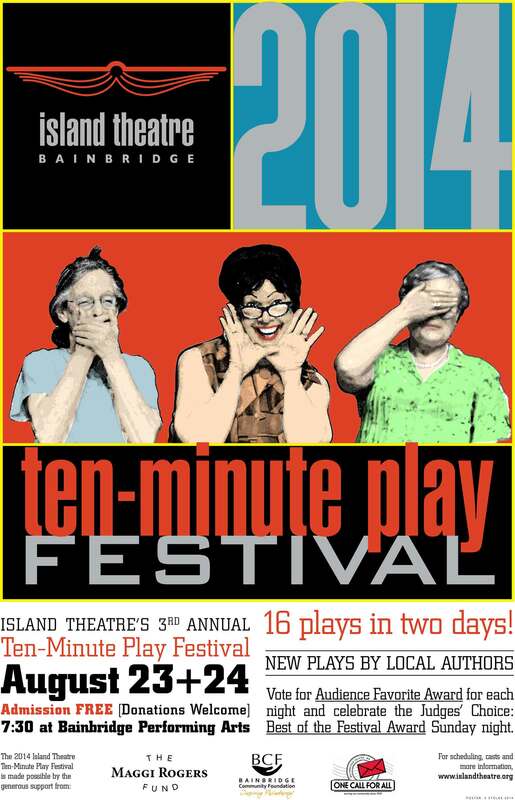 On August 23rd and 24th Island Theatre will present its third annual Ten-Minute Play Festival. 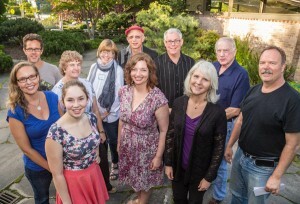 Sixteen works by local playwrights will be performed, eight each evening. Festival goers will be invited to vote for an audience choice award for each night, and an overall festival favorite, determined by the judges, will be awarded a cash prize at the close of Sunday night’s performance. 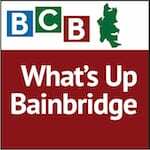 In this podcast Island Theatre’s Kate Carruthers, production director of the festival, tells BCB host Lyssa Danehy deHart the story behind the plays, which were selected from 57 submissions from Bainbridge Island and Kitsap County playwrights. Some of this year’s winning playwrights. 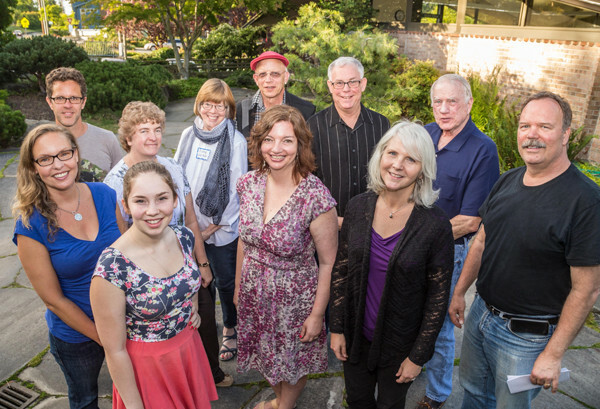 This year’s featured playwrights include eleven returning winners from the 2012 and 2013 festivals – James Anderson, Connie Bennett, Robert Dalton, Jeff Fraga, Charlie Hamilton, Paul Lewis, Steven Lee Palay, Miller Shor, Ulla Solberg, Ned Thorne, and Wendy Wallace – plus five newcomers: Gwen Adams, Trish Bittman, John Ellis, John Ratterman, and Diane Walker. So it’s quite a production: eight directors are working with 32 local actors to produce these two fabulous evenings of thought-provoking drama and comedy. Admission is FREE, though donations are of course welcome. And please note: the festival is only recommended for ages 13 and above, as some plays include strong language and adult subject matter. 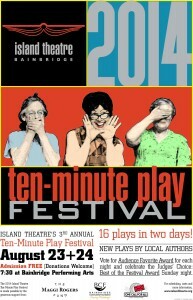 See www.IslandTheatre.org for the final schedule, and be sure to get there early, as previous festivals have sold out! Credits: BCB host and audio editor: Lyssa Danehy deHart; BCB studio tech: Joanna Pyle; “What’s Up” music splash: Tim Bird; BCB ferry music: Dogfish Bay Studios; Podcast art: artopia creative. Island Theatre photos and poster by Steve Stolee.